Order in the next 12 hours and 24 minutes and select "Next Day" at checkout. 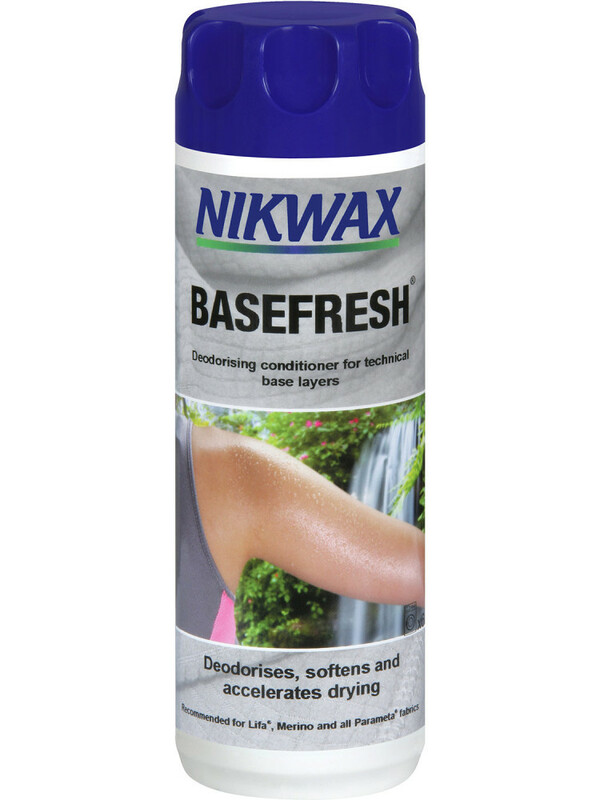 Nikwax BaseFresh® refreshes your base layers by deodorising and maintains freshness by preventing odour build up when in use. Nikwax BaseFresh® enhances and revitalises the wicking properties of base layers and everyday clothing, increasing breathability. This helps the fabric to spread sweat, dry quickly, and keep you more comfortable in all conditions. Shake well before use. Follow care label instructions. Do not use on waterproof clothing. Place item(s) in washing machine (with normal laundry load). Use usual amount of regular detergent. Add 50ml of BaseFresh® to fabric conditioner drawer.